With all the ghostly, gremlin, vampire, zombie, mummy, skeleton fun of Halloween, it's good to remember the kids who don't like feeling scared. The kids who don't like scary costumes. Even when it is in fun. And it's good to remember that that's okay. In the midst of reading The Little Old Lady Who Was Not Afraid of Anything, and singing Looking for Dracula, we also read Todd Parr's book The I'm Not Scared Book. Amazon's book description reads: With his signature blend of playfulness and sensitivity, Todd Parr explores the subject of all things scary and assures readers that all of us are afraid sometimes. 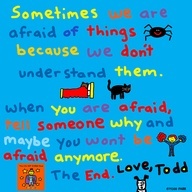 At the end of the book, Todd has a suggestion what to do if you are afraid. Good advice. 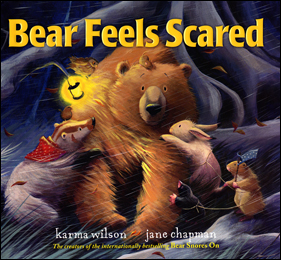 Sometime tomorrow, amidst the Halloween fun and mayhem, in the afternoon when all the costumes are in bags and everyone is back in their civvies, we will read Bear Feels Scared. Bear gets lost in the woods and gets scared when he cannot find his way home. 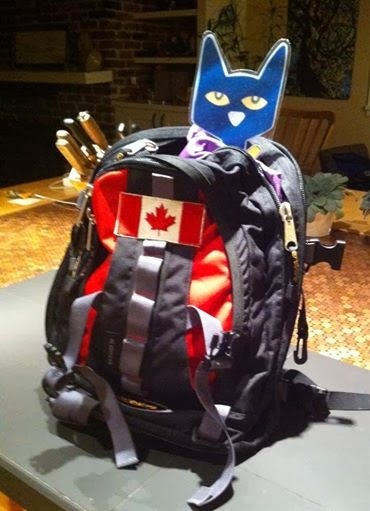 His friends form a search party to find their lost friend bear. They find Bear and all return to his home, and finally, "the bear feels safe". Isn't that what we all want - to be safe and surrounded by our loved ones. A bit of reassurance when things might feel a little scary and we feel a little lost. 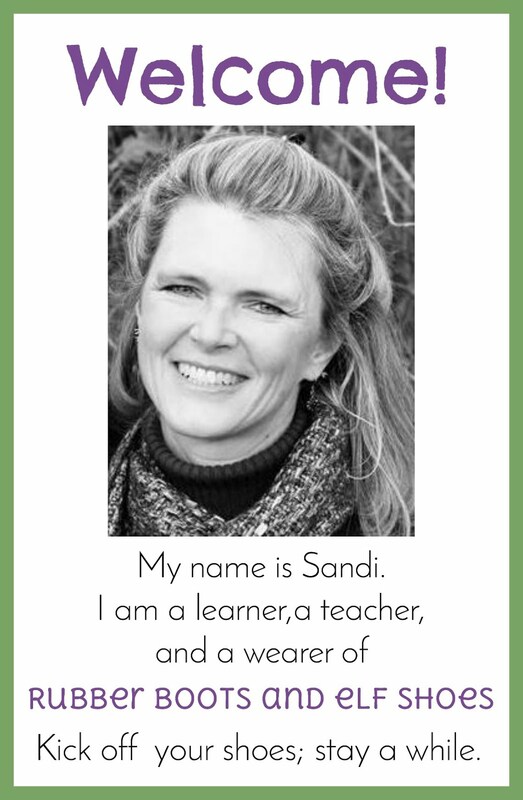 Just so that you don't think that I am a Halloween party-pooper, here is a Halloween poem freebie. I think it was a McCracken poem from many years ago. 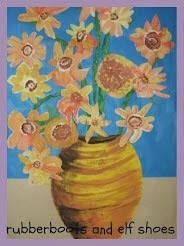 Click on the graphic to download a copy. 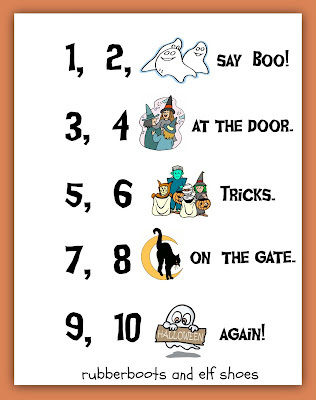 1, 2 ghosts say boo!